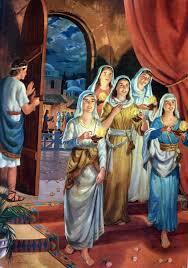 “Then the kingdom of heaven shall be likened to ten virgins who took their lamps and went out to meet the bridegroom. 2 Now five of them were wise, and five were foolish. 4 but the wise took oil in their vessels (jars, flasks) with (in addition to) their lamps. 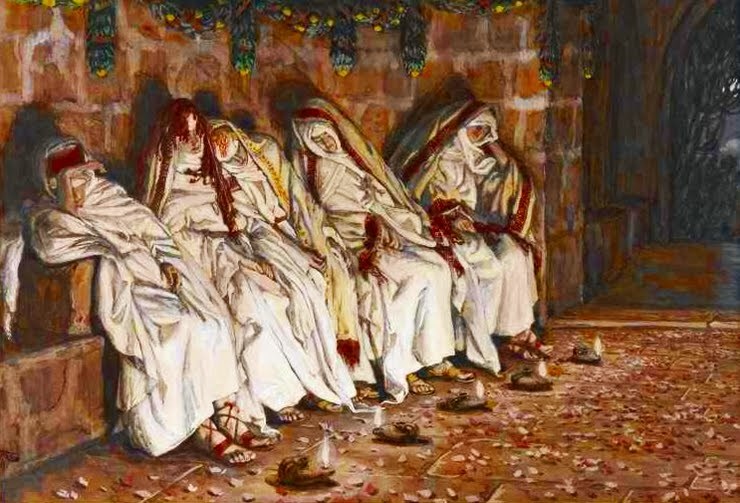 5 But while the bridegroom was delayed, they all slumbered and slept. 7 Then all those virgins arose and trimmed their lamps. 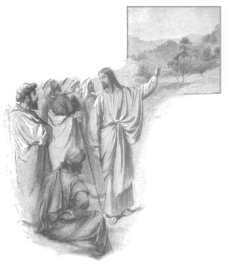 10 And while they went to buy, the bridegroom came, and those who were ready went in with him to the wedding; and the door was shut. 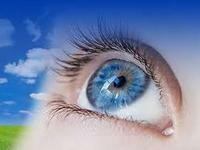 13 “Watch therefore, for you know neither the day nor the hour in which the Son of Man is coming. 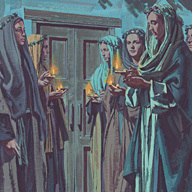 While the five foolish virgins went out to try and replenish their oil supply, the bridegroom did arrive, and the door was opened. 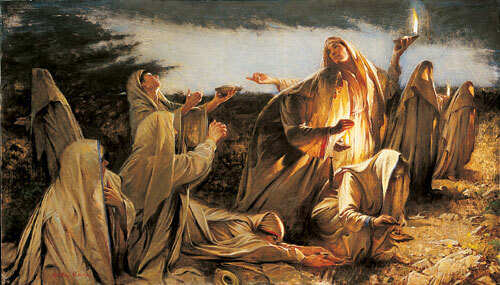 When the five foolish virgins finally arrived back at the banquet after getting more oil - they realize that they are too late - the door is closed and when asked why they could not enter, they heard that "I do not know you" - "I do not approve you" - you disqualified yourselves by lack of preparation and not having enough to last the wait for the bridegroom... you could have had enough, but you took the risk, and being incomplete in your assignment - you cannot participate. All the virgins could have been prepared. 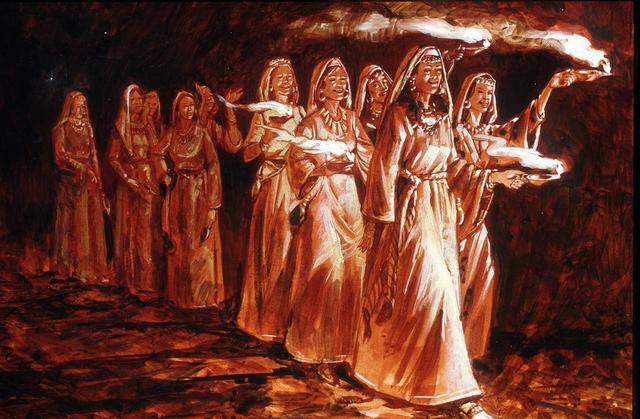 The foolish virgins wanted the oil given to them - the wise virgins had to "buy" their extra oil, so they are not required to provide a shortcut for the five foolish virgins. Proverbs 23.23 "Buy the truth, and sell it not"
what is the oil in the jar? Would you have refused to give away part of your extra oil, and take the risk for your own future? The door was shut. 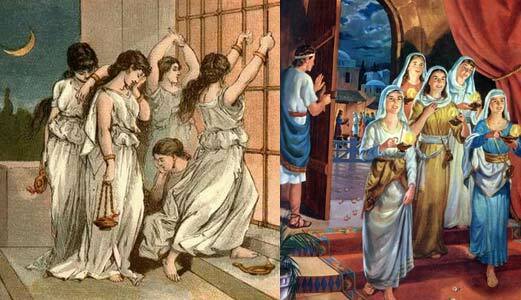 What other Old Testament event tells of a door that was shut by GOD? 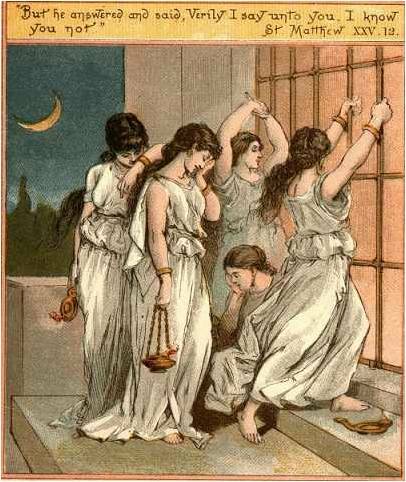 Some people love to put us on a "guilt trip"
The five foolish virgins took a risk by not bringing along extra oil - and lost. They assumed they would have enough. They gambled with something we have no insight on - the time element of future events!